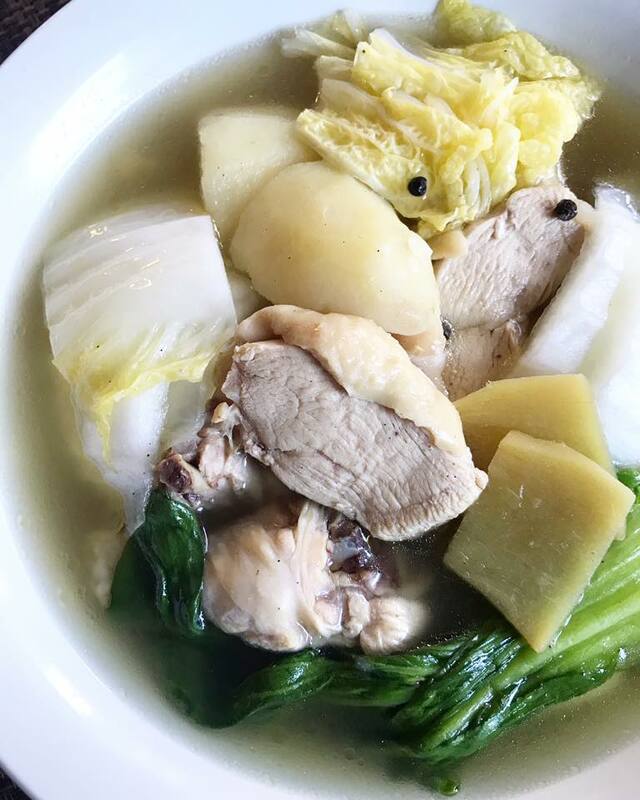 Pesang Manok is a type of Filipino chicken stew that is similar to Chicken Nilaga and Chicken Tinola. 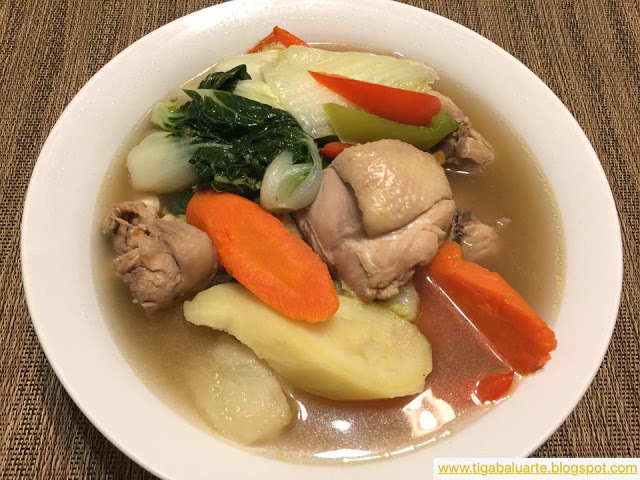 Pesang Manok is a simple boiled chicken soup and easy to make. 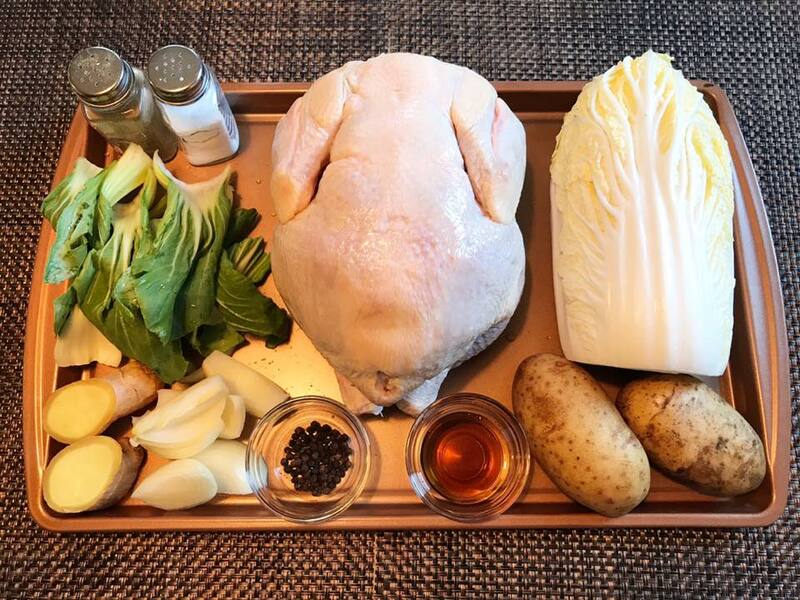 It is made of chicken, potatoes, bokchoy or pechay, Napa cabbage or Chinese cabbage, ginger and peppercorns. 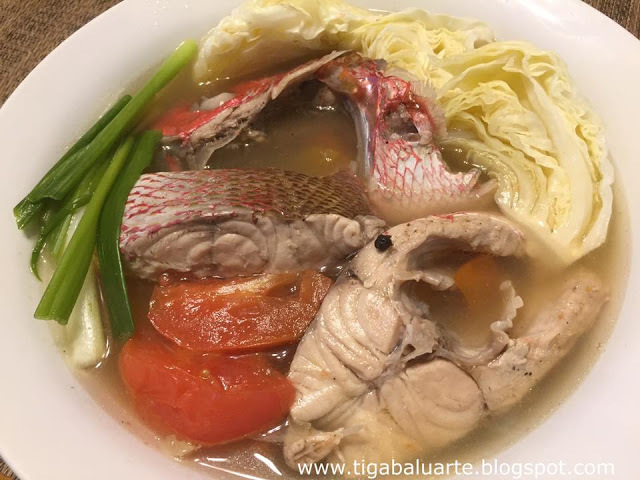 Pesang Manok can be cooked by just boiling the chicken and adding the vegetables. Others likes to saute first to enhance the flavor. 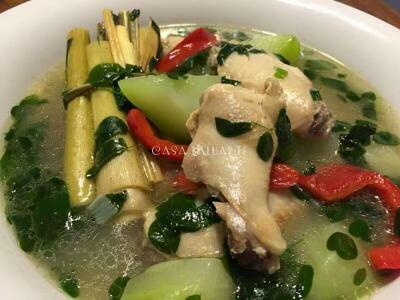 I like gingery flavor so with this boiled Pesang Manok recipe I added extra ginger and it turned out really good. 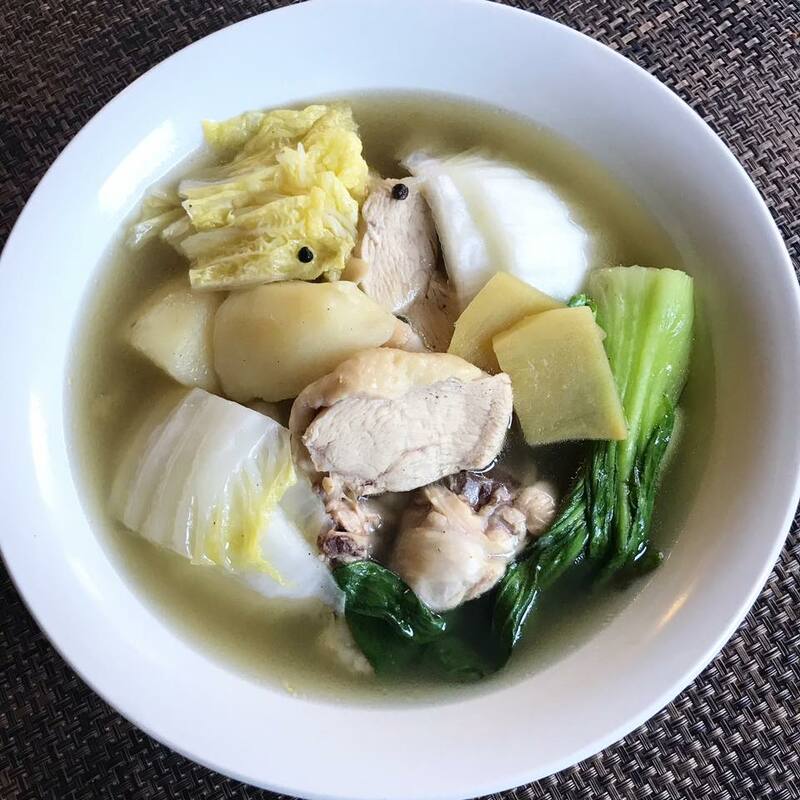 I was planning to cook Chicken Tinola but noticed I have some Napa cabbage and pechay sitting in the fridge. Actually this is the first time for me cooking Pesang Manok but made Pesang Isda before. 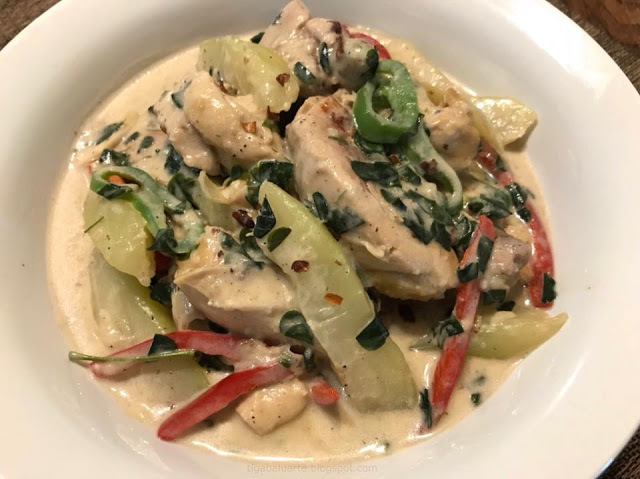 Check out the easy recipe below and give it a try. Don't forget to check related recipes below by clicking the name link below the picture. 1. Using a large pot, add water and ginger and bring into a boil. 2. Once water starts to boil, add chicken pieces. Continue to boil until chicken is almost fully cooked for about 20 minutes over medium high heat. Skim scum that floats on top. 3. Add onion, peppercorns, ground pepper and fish sauce. Stir and continue to boil for about 5 minutes. 4. Add potatoes and continue to cook for about 10 minutes or until potatoes are tender. 5. Taste test if more salt and pepper is needed. 6. Add pechay and Napa cabbage and cook for 2 minutes. 7. Remove pot from heat and serve hot with steam rice. Enjoy!